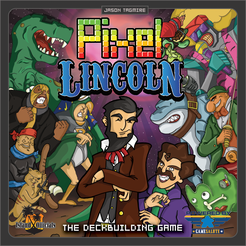 There are enemies in every corner, and as Pixel Lincoln, you must defeat them – but first you need to build an awesome deck! Equip the finest weapons, bring your best cheat codes, and do whatever it takes to get the highest score! Because in the end, that’s all that matters.